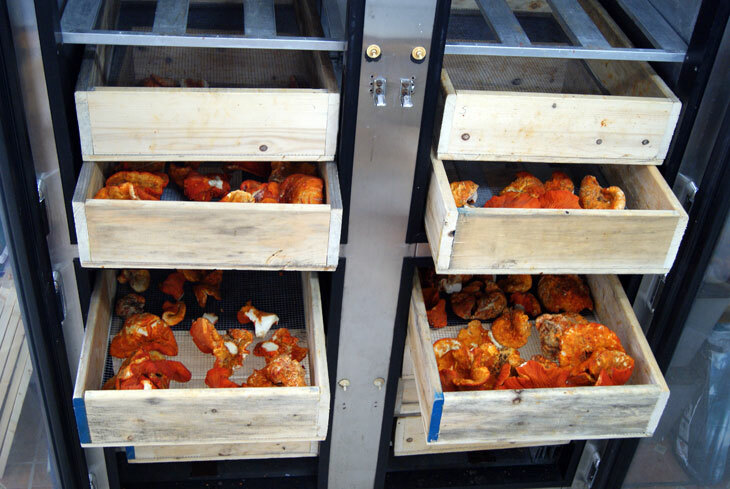 The Mauricie’s Wild Mushroom Partnership exists to facilitate sustainable development of wild mushrooms and to create a strong regional economy based on profitability models. Collection for commercial purposes serves to supply restaurants, hotels, conferences, events, supermarkets, and export markets. Commercial harvesting is undertaken by specialized companies whose personnel are necessarily trained as professional pickers. These can be either private companies or cooperatives. Clearly, having several business models among Partnership organizations is helpful because it allows for the assets of each to be evaluated and appreciated. These different sizes of companies and cooperatives conduct harvest activities during the mushroom season. Because of the seasonal nature of the business, it is not uncommon for these organizations to diversify their operations in other areas or other types of forest plants.